This heating system is ideal when space is at a premium. 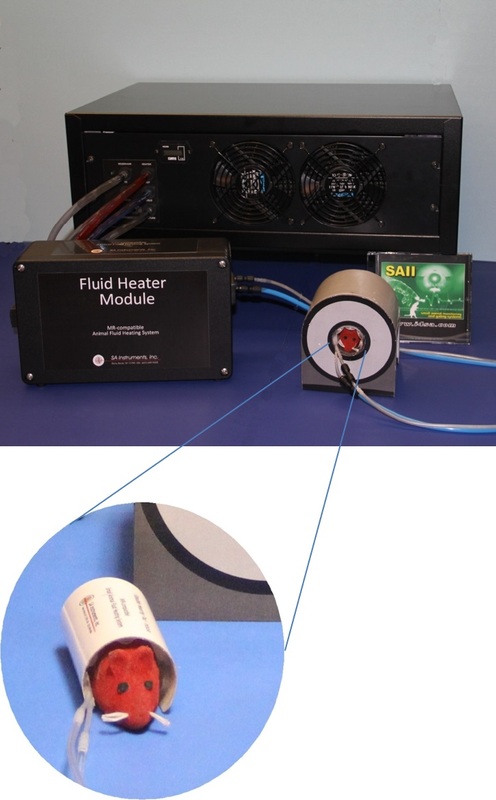 The Heater Module positioned near the magnet bore supplies a mixture of hot and cold fluid at constant flow through small tubes (1/8" OD) to warm the animal heating pad. Temperature control is based on the animal's measured temperature and user defined set point. The Circulator Module is located outside the magnet room. It provides cold water to the Heater Module. A variety of heating pads are available to accommodate mice, rats and larger animals. .